A major update to reputation was just released. Now, reputation affects how your votes change post and comment scores. The reputation system is a way to prevent spam accounts. Accounts with good reputation take effort. You have to create quality content to gain reputation. Spam accounts can't do that. Reputation gives an incentive for good behavior! Higher reputation means more impact and higher reputation means your posts are harder to vote down. Low reputation users can't influence scores as much. Especially scores of those with high reputation (for example, downvoting). High reputation users can influence scores more. Basically, your reputation gives you more voice. You earn reputation by others voting up your posts and comments. If you don't have as much reputation, you can't affect the scores on Zapread as much. Bottom line: you should want to add posts and comments which others will vote up in order to gain reputation! I think it is a brilliant concept. If zapread gets a little more traction, this will be the social media platform to beat in a few years time! I'm interested to see if it will only show who has the oldest account/paid the most from a second account to boost the first one... But all these worries aside it sounds good on paper! Cool to see and be part of this experiment. It does encourages you to have an "older" account. It also reaches 95% effect after about 200K (about $10 worth) reputation right now. The rate it tapers off will be updated as needed depending on the value of Bitcoin and the number of users. The objective here is not to make a ranking of users, but to have a threshold of good behaviour. Right now - once you have a rep of 200K, then additional reputation will not change your voting voice very much. I still have plans for other incentives (such as badges/rewards/unlocks) for good behaviour. Things like # of posts/comments, amount deposited, reputation milestones, moderator actions, etc. Oh yes! I really need to make the API open. Question for you: What is the first feature you would use? I'll implement it first. The latest version of LND is out! That said, ZapRead deposits/withdraws will be going offline about 1 hour after this post for upgrade. Sorry that the upgrade requires Lightning downtime. In the future, I will look into having a backup node for "hot" upgrades, but we're running on a single node at this time. Thanks for the understanding! LND is now upgraded! Channels coming back online. Deposits/Withdraws should work again. Good work, thanks for the update! What a loss - and - that focal length! 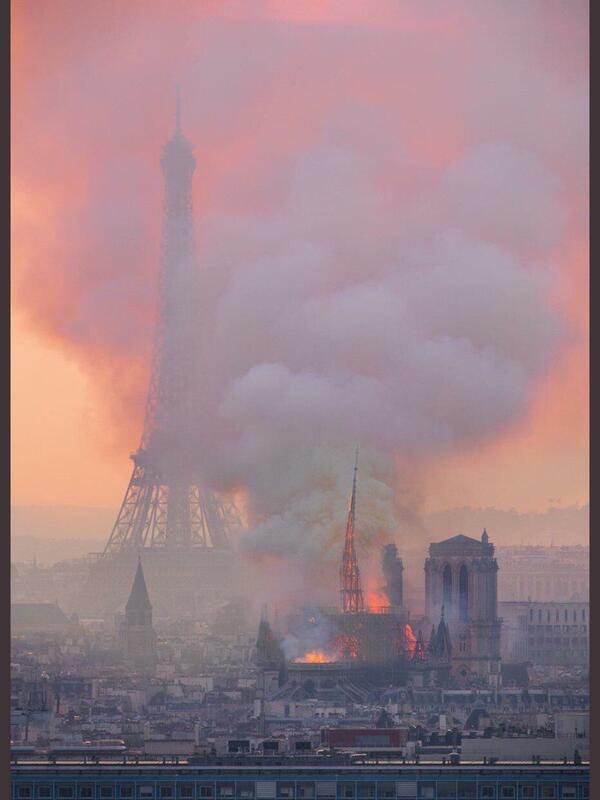 This is the best picture I've seen of the Notre Dame fire. Found on reddit. Youtube algorithm: THIS IS 9/11 FAKE NEWS! Still interested in the connection between Satoshi and Julian. Whether or not he is a criminal is for the courts to decide, not the media and not us. 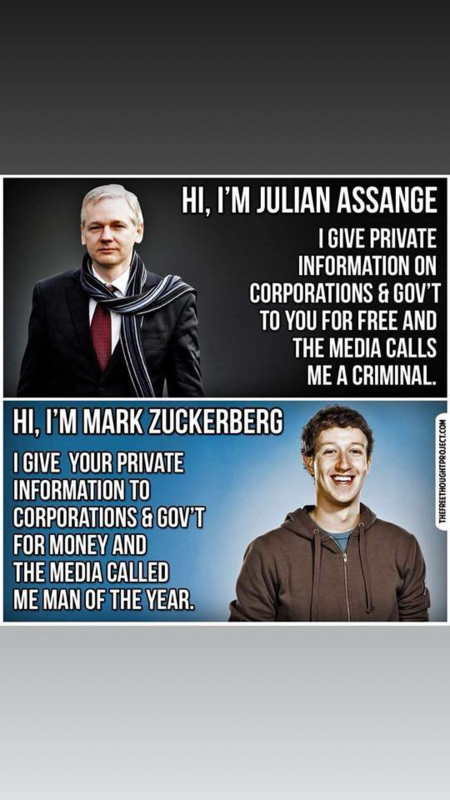 As for my opinion I think Assange is a self aggrandizing useful idiot for the likes of Putin to use to undermine the open societies they both despise so much. Western style governments aren't perfect but even without his reckless disregard for the consequences of the information he obtained and released they are a lot more accountable than any other form of government on this planet. That Zuckerberg got rich by expanding the game of "hot or not" into a global personal data mine does not make him a criminal either, just an amoral, opportunistic creep. Comparing the two really does not elevate either of them above the muck they so richly deserve. All of his wikileaks activities aside, I mean, who treats their host with disrespect that you get kicked out - when the police are waiting outside? While he may have a good desire for self-preservation, he doesn't seem very smart (or polite). Yeah, I was going to write about his ill-considered rudeness as well but I decided I had written enough. He reminds me of another attention needy narcissist. Most of the companies are choosing the online site so that they can easily get in touch with n number of customers. But sustaining in the online competition is not an easy task to perform and that is the reason it is suggested to opt for the Cheap Dedicated Servers. These servers are less expensive and can help the company in reaching their desired goals easily. There are n number of people like to opt for Dedicated Server Hosting or the single hosting program. In this hosting, the person is the owner of their server and they do not have to share it with anyone else. It makes you the controlling person and one can easily choose to tailor their server as per their requirement and according to the needs of the domain. Third ad today... is this a coincidence or why are there two new accounts on the same day starting to advertise different things? How exciting ;) I have a tester now to see what happens to spam content. You should see that the rep on these posts will go down. The next thing I'll need to work on is the auto-hiding of this type of content. I should also make it easier to ignore users (without going into the user page). Oh nice ...will see how everything works out! It looks like a sanitation issue. I will work on a fix. The fix should help with lots of comment glitches. Basically, you can copy and paste anything in right now to keep styles. I will make it so that the paste removes custom styles. I would love to hire a front-end developer to help with stuff like this - but I can't find anyone. I don't know how styles are, but try replacing them with HTML code and use strip_tags function (in PHP it's the equivalent), which will remove all HTML tags, except some. The problem should now be fixed. Have a look. There are several tags I need to retain. I use HTML agility pack. I also stay clear away from PHP. It is not secure. Especially for anything related to finance. It also does not scale well or easily. It is called personal home page for a reason. Not suitable for a website with users! Thanks - I get the point. Still, PHP needs to die.